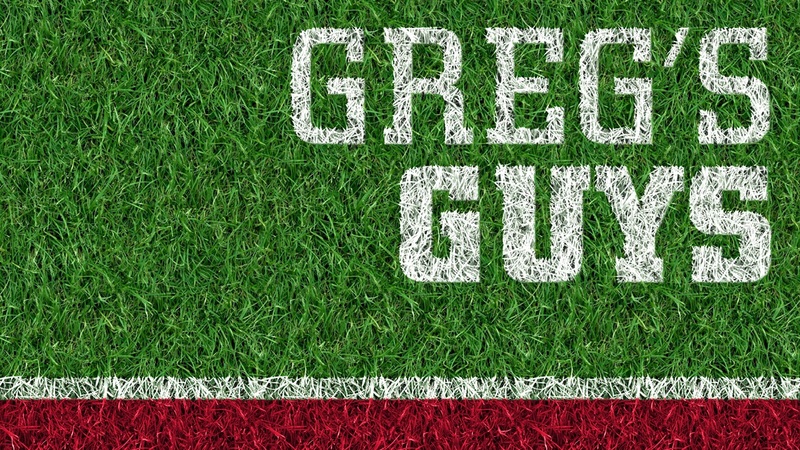 The September edition of Greg’s Guys is here! There has been lot of movement in the top 10 since the August list as players are locking in official visits and even taking some trips. Nebraska hasn’t had a commit since my last list, but there has still been a lot of work going on to get guys on campus. You’ll notice high 4-star wide receiver Jalen Hall‍, 4-star defensive back Houston Griffith‍ and 4-star defensive lineman Ronnie Perkins‍ are no longer on the list. Hall and Griffith are still talking about making trips to Nebraska but I’m not convinced the interest is real significant in either case. Parsons is likely the number one target on Nebraska’s board as well as my list. The plan is to still host him and his parents for the Wisconsin game. Parsons’ recruitment has taken some wild twists after his trip to Ohio State during which he called for a quarterback change, but that won’t stop Nebraska or Penn State from pursuing him hard. He took an unofficial visit to Penn State last weekend and they are squarely in the mix to gain his commitment for the second time. One of the most sought after recruits in Oregon history will not use any of his official visits to Oregon or Oregon State because he’s taken many unofficial visits to each school. He took his first official of the season to Utah this past week and is still saying he will visit Nebraska, but does not have a date locked in. He’s an early enrollee but expect his recruitment to go the distance or at least until after he takes all five visits. We have movement on the Greg’s Guys list! The first new player on the list makes a huge debut. The 4-star athlete had his official visit to Nebraska for the Northern Illinois game and came away impressed. Not only does his level of interest bump him up the list, but his athletic ability really stands out as a potential two-way player for Nebraska. He’s being recruited by both Donte Williams and Keith Williams and could be a real impact player. Bush is a player that I have contemplated putting on each edition of this list since I started doing it. The reason is pretty simple. His size (6-5, 187) and blazing speed will make him a matchup nightmare in college. If he joins forces with Keith Williams, who he has a great relationship with, it could give him the coaching he needs to take his game to the next level. Bush makes his debut this high on the list because of his enormous upside. He is scheduled to visit for the Wisconsin game. Tutt’s decision has not come as soon as expected but I still feel good about Nebraska’s chances here. He has visited Ohio State this season but there are question on how high he is on their board. He’s a real good talent that would bring toughness to the secondary. He is scheduled to visit this weekend for the Rutgers game. Every recruiting cycle there is a guy or two Nebraska is in on that you feel is very underrated and this year I think Carson fits the bill. The 3-star prospect has an impressive offer list that backs that sentiment up. Alabama, Georgia, Miami, Ohio State and Oklahoma are among the schools chasing him. He has been pretty quiet lately but the feeling is Nebraska is in the drivers seat. Crosswell is a safety with good instincts while the ball is in the air. He also has very good recovery speed. He officially visited week one and has a good relationship with cornerbacks coach Donte Williams. I don’t see the package deal working out with he and Jalen Hall at this point but I think Nebraska has a much higher chance of pulling Crosswell away from USC and UCLA. The 4-star wide receiver is a smooth route runner for his age and the sky would be the limit if he gets coached by Keith Williams, especially if he adds muscle to his frame. He attended the season opener against Arkansas State and came close to committing on the visit but his parents want him to check out other schools to be sure. I like Nebraska’s chances here if they can get him in the fold sooner rather than it going late into the season. Another newcomer to the list, Smith has also been right on the bubble of making it before. The interest here between Smith and Nebraska is very real. The Huskers hosted the 4-star wide receiver for the Northern Illinois game. He has long held Nebraska in high regard and after seeing the atmosphere and college in person, I would put Smith on commit watch. He’s built a fantastic relationship with the Nebraska coaching staff, but the feeling is Nebraska is “slow-playing” him while chasing other big targets on the offensive line. However, Nebraska is far from the only Power 5 offer as Arizona, Arizona State, Oregon State and Washington State are all in the picture. Also, Boise State is in the mix and is where his dad played in the early 1990s. Recently, UCLA offered as well which makes you wonder if Nebraska will lose out on their best chance to land an offensive tackle this cycle.